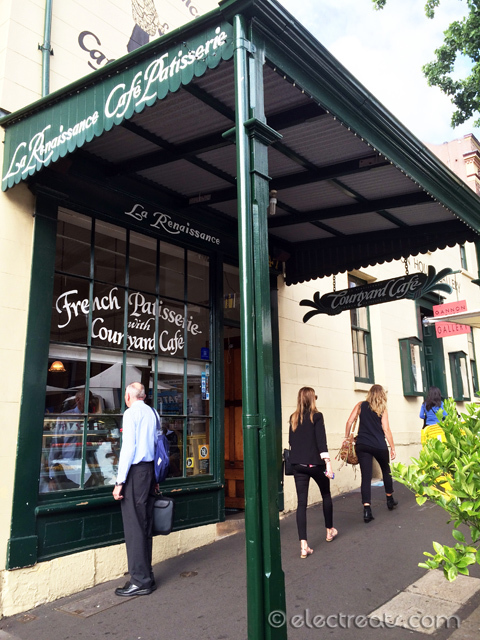 A family business established in 1974, La Renaissance has gained a reputation as one of Australia’s finest patisseries by maintaining the highest standards in the production of cakes, pastries, savouries, chocolates and macarons. 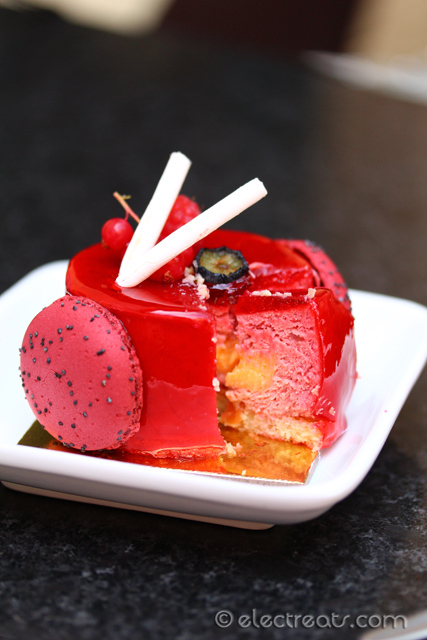 La Renaissance’s talented pastry cooks prepare delectable handmade treats using the freshest ingredients. 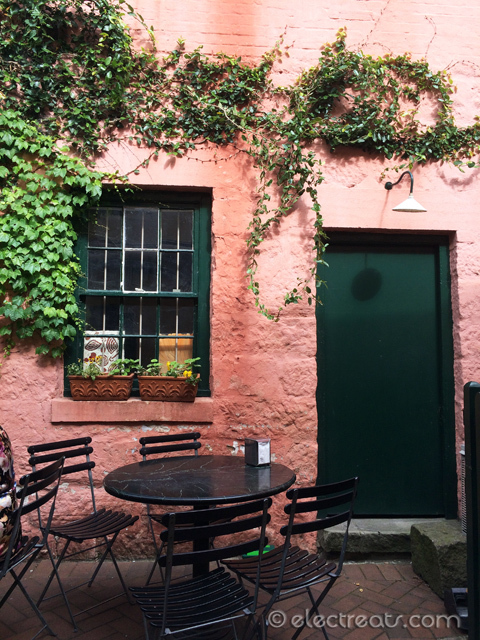 Grab a treat to go or relax in the outdoor cafe nestled between historic sandstone walls. Whoaa, that’s a long time ago even before I was born! They must have been doing very well to last 40 years and counting. Really? Read on to find out! 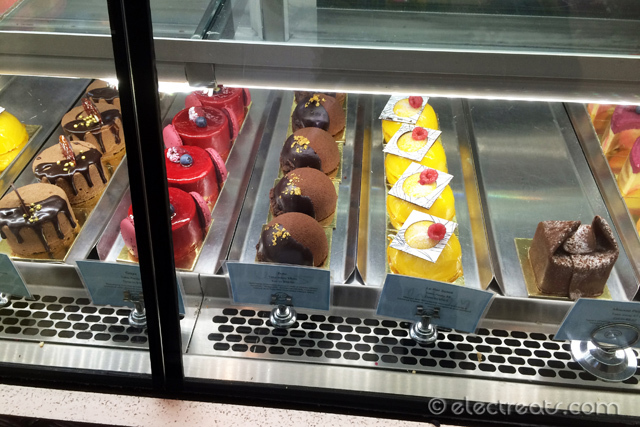 Choosing one cake from the tons of available options wasn’t easy. Thank God, one of the ladies there gladly helped us select something that is not only pleasing to the eyes but also not causing diabetes. After a few seconds, the Goya emerged as the winner with its bold-red color and decorative top. 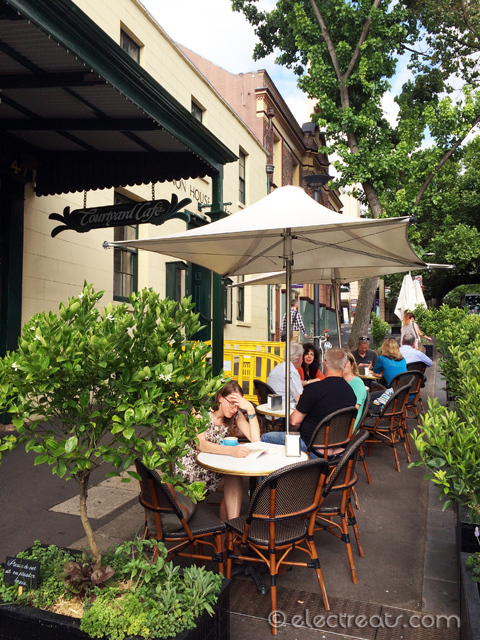 It did look beautiful, and the flavors really shone through – exactly what I had been looking for: fruity and not too sweet. 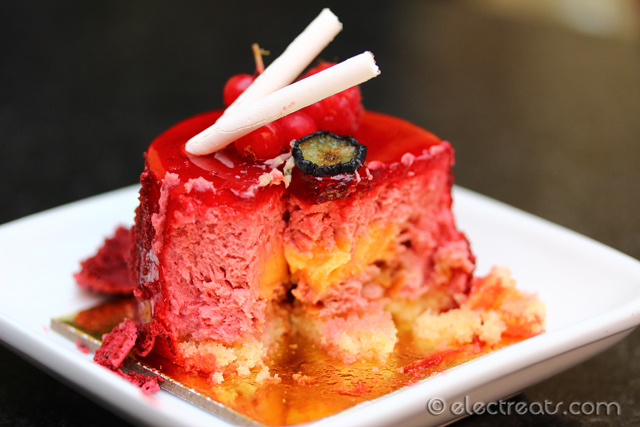 I highly recommend this cake. 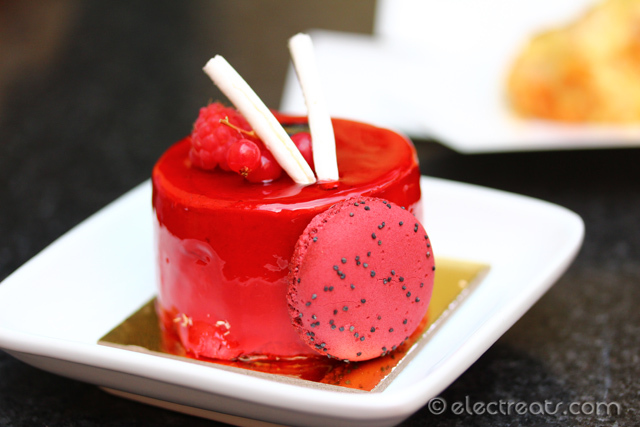 It’s the almond nougatine in the middle that gives sweetness to the fruity berries. 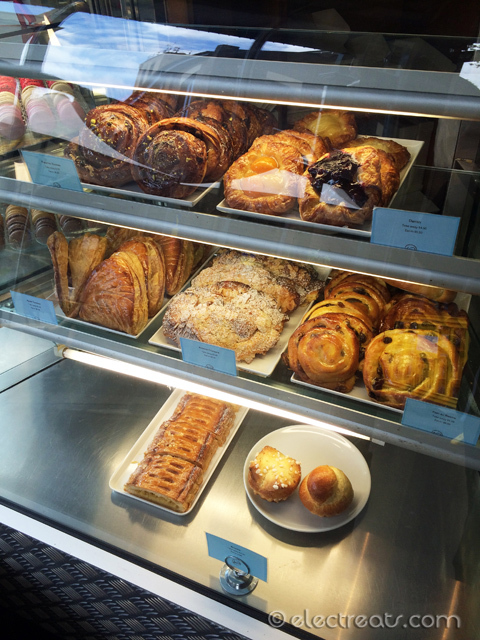 The real reason why we came here was because of a tip-off about how great their Ham & Cheese Croissants are. We couldn’t agree more, for $8 a piece these sure held the reputation pretty well. 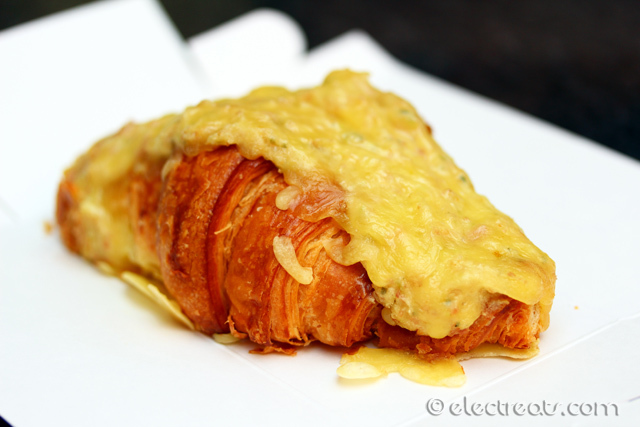 The croissant was crispy on the outside, covered with a generous amount of cheese. My favorite was the fillings: leg ham and bechamel sauce. I imagine how awesome this would be if eaten with a splash of Tabasco Habanero Sauce – hot, sour, savoury, and sweet (from the Goya). 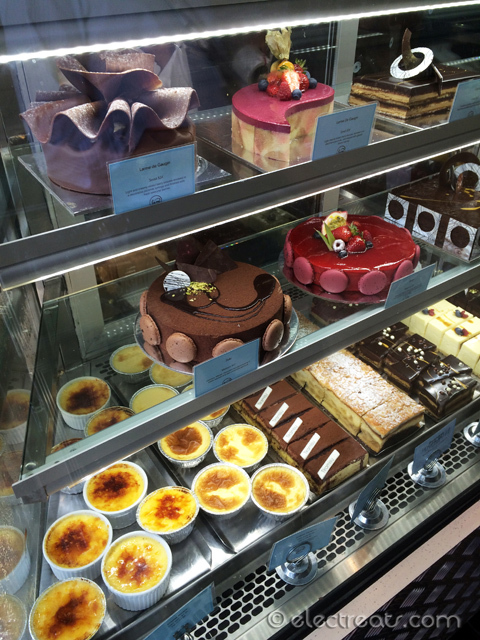 Nevertheless, I am glad I acted out on the tip-off and visited this patisserie. 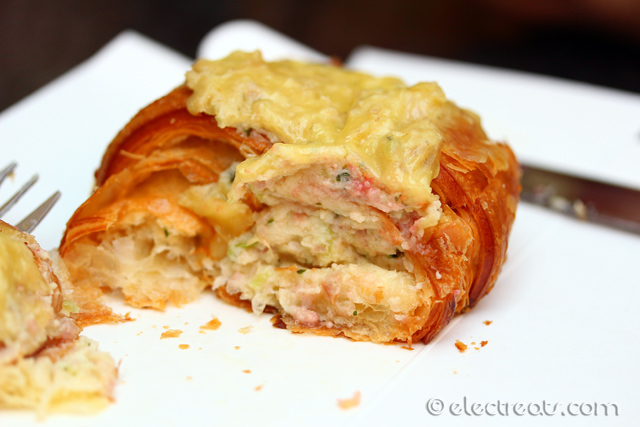 Croissant filled with house mixture of creamy bechamel sauce, leg ham and topped with cheese. A must-try. 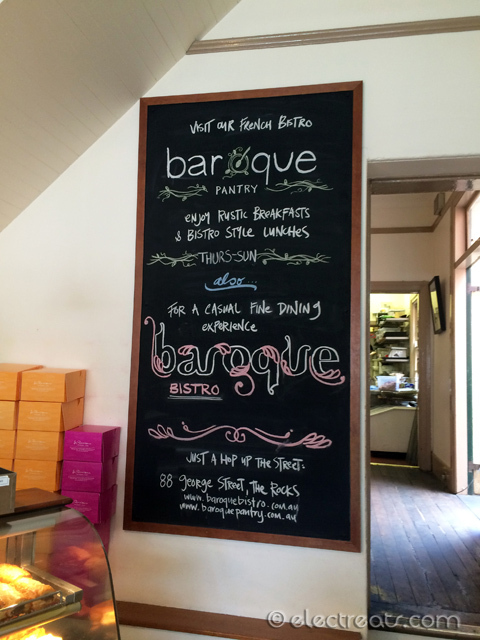 Sign for Baroque Bistro, one of my future posts. 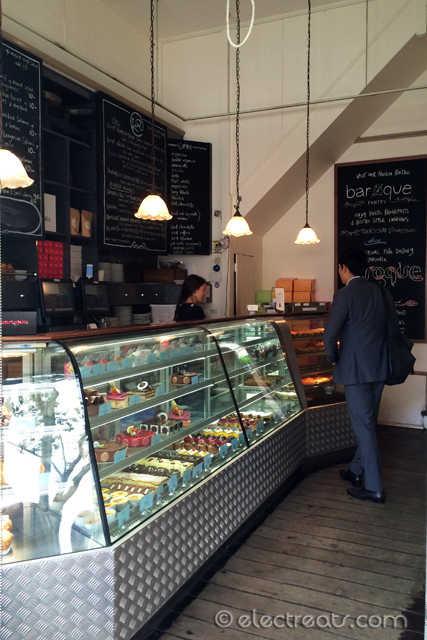 Are they as good as their patisserie? 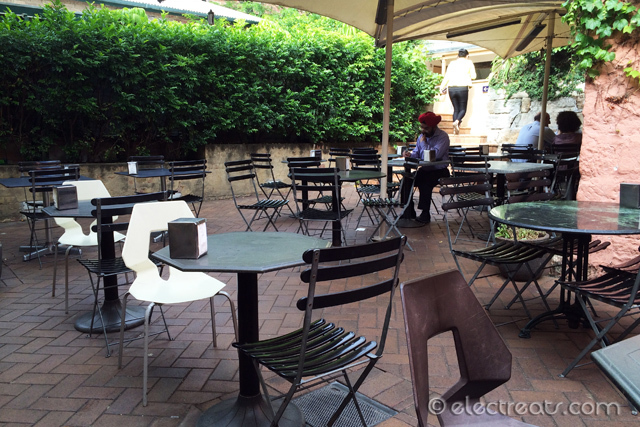 Sure reminds me of France. Life is beautiful, indeed.